Just my mind supposing,. Till now many SUVs have been a cross over from a car. How about a SUV cross over to a car? Eclipse cross to all new Lancer!!!!! 15mm increase in track and 35mm increase in wheelbase. Hmmm puts it up there with the opposition. Oh! well costs nothing to hope and dream! Quiet a fan of the eclipse cross, would love to buy one, but not big enough for family needs. If I was to choose any new Mitsy the new Eclipse Cross would be it. Love the tech it has, just a shame it couldn't have been put into the Lancer. But it does make me wonder why this could not be the next Lancer, just lower it and you'd have the new sports back Lancer. Since platforms are kind of modular (Lancer/ASX etc), no reason why they couldn't do one. 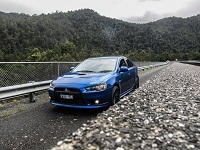 The issue is sales, but that's only because they end up diverging the products too much like the updates on the ASX not transferred to the Lancer. Even if the parts are slightly cheaper logistics of parts makes it more expensive. The 4B40 engine is too small, it would be nice to have larger engine for sporty-ness. It is also a direct injection 4B series, interesting they didn't use a 4J engine as a base. The Eclipse even with the turbo isn't any more powerful than the Lancer apart from a bit more torque on boost. You have to push these engines harder for the boost, and that un does any fuel economy benefits of the smaller engine. 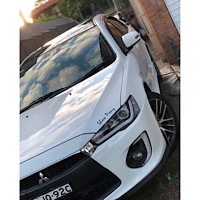 I wouldn't be surprised if we do actually see another sedan / hatch "Lancer-like" vehicle with an SUV added to the line up after the current Lancer and Mirage stocks have sold out. They won't announce anything until that happens of course. It's estimated existing stocks will last the year out. It's also probably worth mentioning that anything from 2019 on is likely to be based on the Nissan-Renault CMF architecture. And if names are anything to go by the e-Evolution Concept shows that that brand might still have a future. I guess the Eclipse Cross fills that void for the time being. 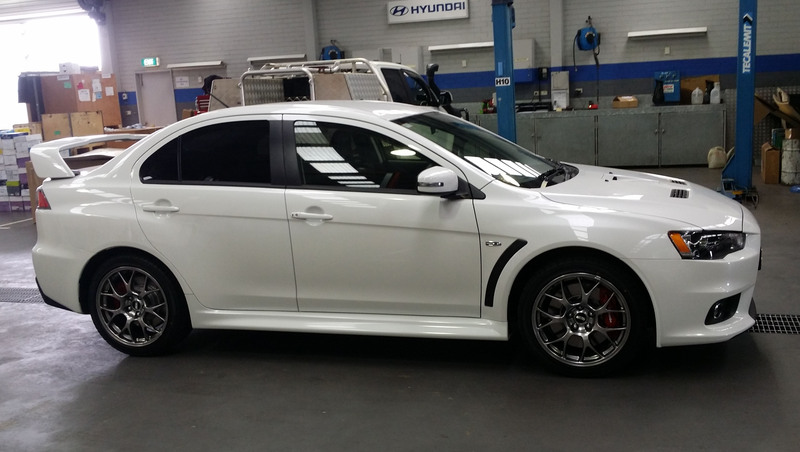 I must admit, it does look like my VRX Sportback on steroids...! 1.5L MIVEC Turbo @ 110kW seems like it could be a little light if seating teens / adults, but it does look very nice inside and out. No doubt they'll disable the touchpad when moving if my MMCS is anything to go by...! 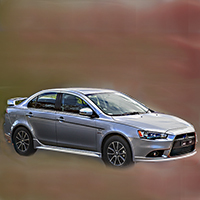 The 4j11-12 engines with direct injection would be the best bet for a new lancer. 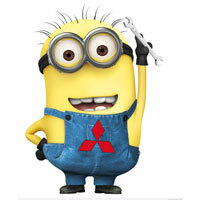 the very thing that caused the sales slump of the lancer. costs of a new platform. Which would appear to probably be the very thing that killed the lancer. about everything inside and out from the Eclipse Cross for a Brand new Lancer. It does look nice for a family car, or an interested SUV owner I’m not gonna lie since I’m seeing adds on TV for it now, but the only let down is how the well reknown company known for its power plants are all dead and even its minor counterparts( the lancer) going to the grave soon too! Thought I'd mention too how striking the rear of the Eclipse Cross is too. I had been thinking how much it reminded me of the styling of the Veloster rear or perhaps more closely, the new Civic. Then today I actually mistook a Toyota C-HR Koba for the Eclipse Cross. Very, very similar looking... It has a 1.2L Turbo. Seems to be way things are heading. Is the future now...?